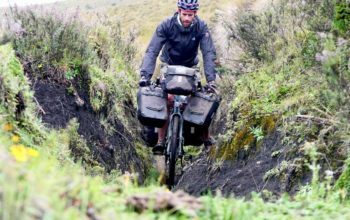 Unveiled last year, the 2017 Salsa Marrakesh is undoubtedly one of the best off-the-shelf touring bikes in the world. 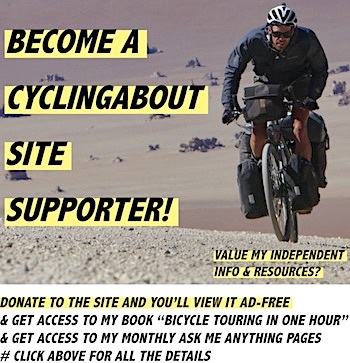 I had to include it in my list of the 8 of the Best Touring Bikes! The geometry. 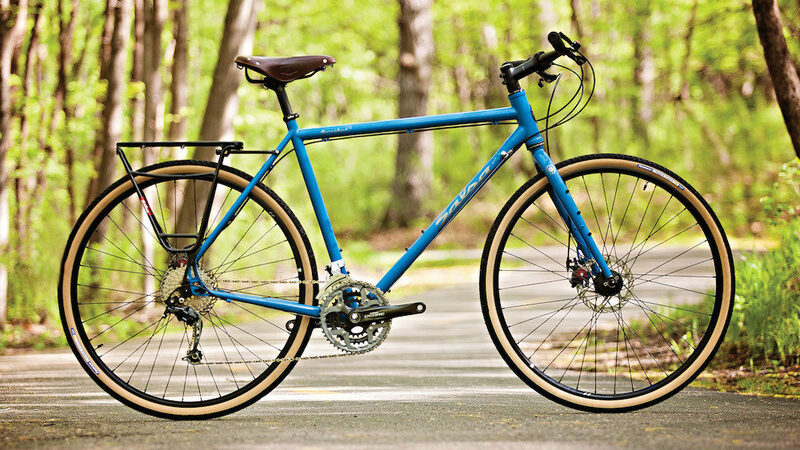 The Salsa Marrakesh is the first touring bike that uses two different frame geometries based on whether you’d like to use a flat handlebar or a road handlebar. The gear range. 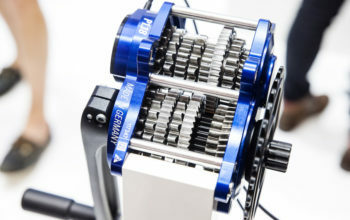 This long distance touring bike uses a touring crankset (48-36-26t) with a mountain bike cassette (11-34t). 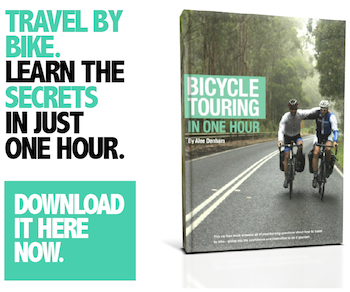 This yields gears for all occasions, even with four panniers (21-121 gear inches). Rohloff compatibility. People who are after the maintenance-free nature of a Rohloff internally geared hub, will be happy to know that the frame is ready! The price. 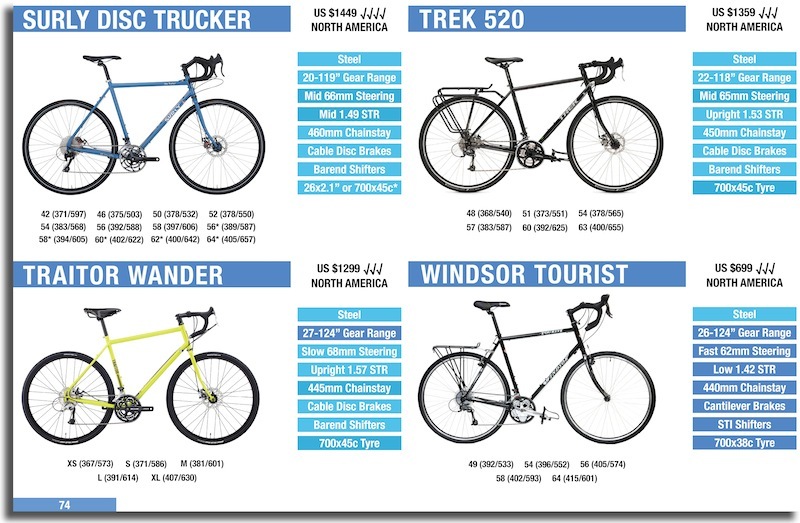 This US $1599 bike is 5-10% more than comparable touring bikes (Trek 520 Disc, Surly Disc Trucker, Kona Sutra) but is still a bargain when you consider its features. Tyre clearance. 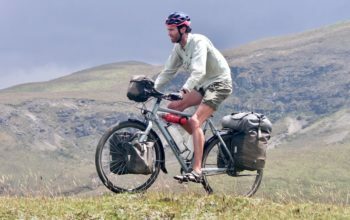 This touring rig is ready for 29×2.00″ offroad tyres if you wish. Or if you like fenders, you’ll still be able to squeeze in 700x40C. The steel frame tubing. The Marrakesh uses triple-butted steel tubing that is normally reserved for much more expensive bikes. For 2017, there’s been a shake-up with the colours, the rims are all now tubeless-ready and the bikes come with Panaracer Pasela gumwall tyres. Let’s take a closer look at the bikes and colours. The 2017 Salsa Marrakesh Dropbar in orange. As I briefly mentioned above, the 2017 Salsa Marrakesh is available in two different frame geometries. Normally you would have to go up a size or two to achieve a long enough body position on a bike with flat handlebars. 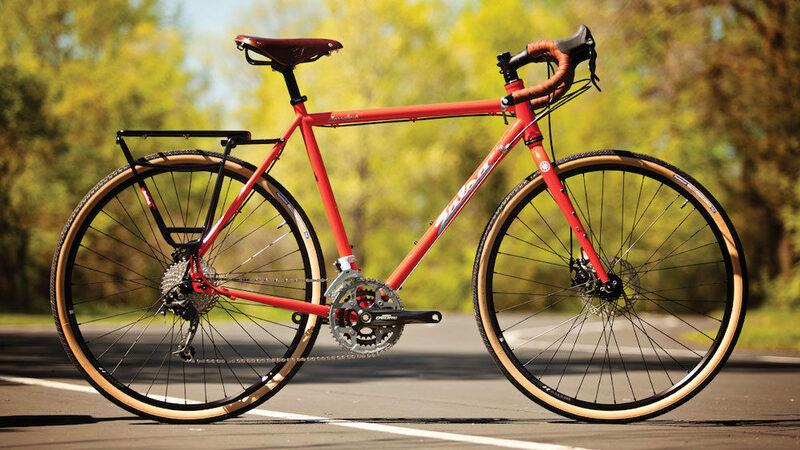 With the Salsa Marrakesh however, the dropbar frameset is both short and tall, which offsets the longer overall reach of a road handlebar. There is a centre kickstand plate on all Marrakesh models that will fit dual-leg stands like the Pletcher Twin, or single-leg stands like the Pletcher Optima Flex. 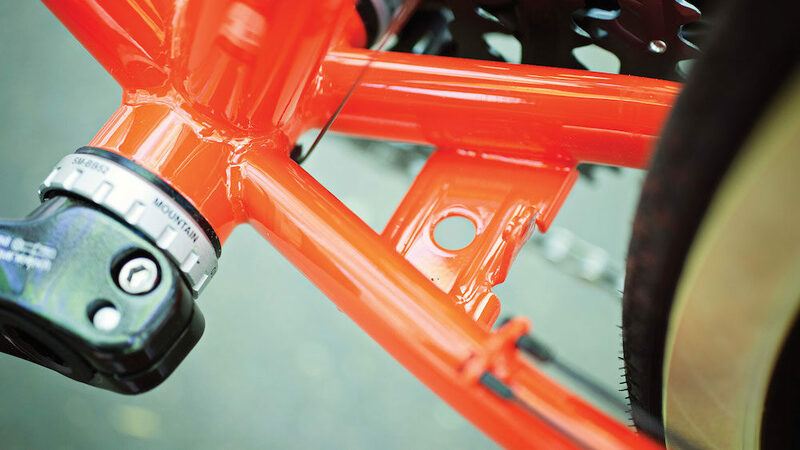 The kickstand plate on the Salsa Marrakesh touring bikes. 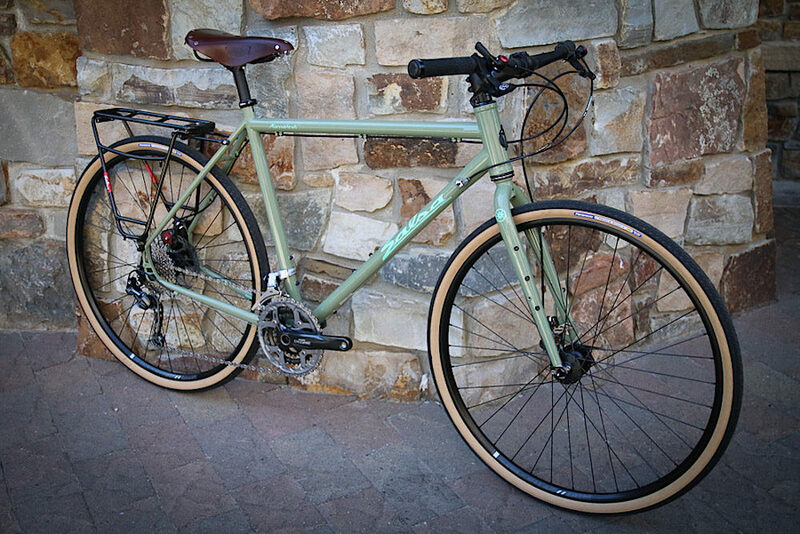 The handlebars are Salsa’s own Cowchipper model. 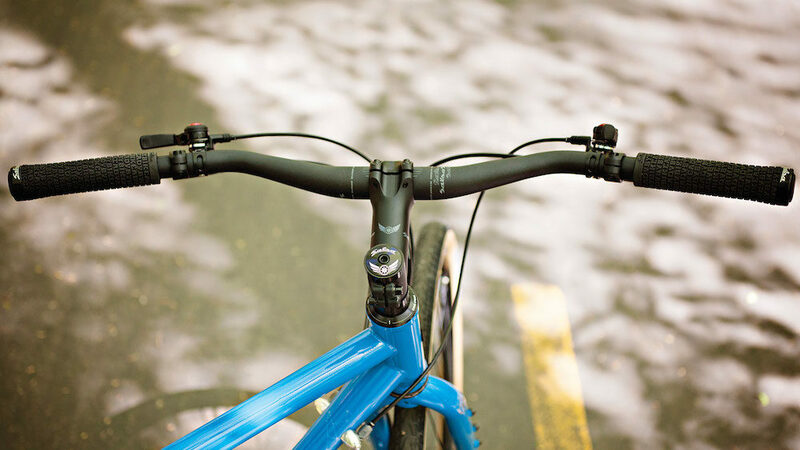 The bars are designed for touring, offering quite a shallow profile and 24 degrees of flare in the drops. The handlebar flare helps gain additional leverage over a front end load, allowing you to stabilise the bike a bit better at speed. 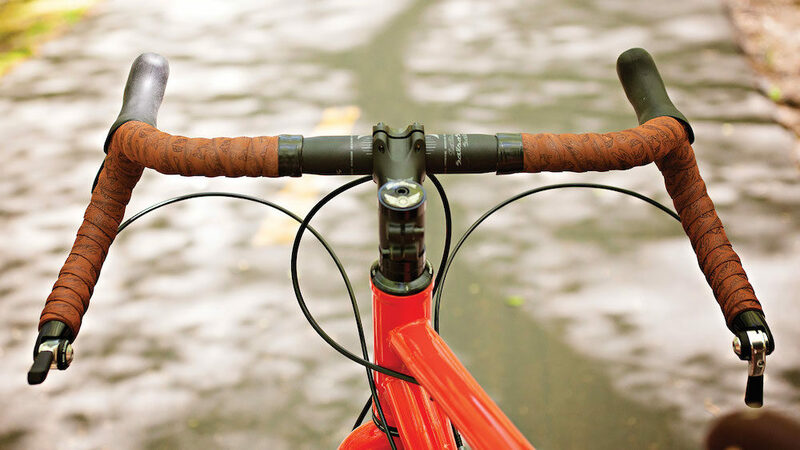 The Salsa Cowchipper handlebars flare out in the drops. The 2017 Salsa Marrakesh Dropbar has two colour options. 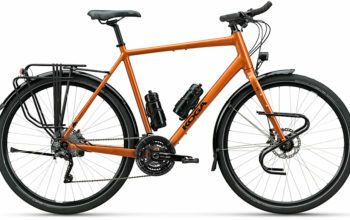 Either the ‘look at my shweeeeeet touring bike -orange’ or ‘fly under the radar -black’. The Salsa Marrakesh 2017 Dropbar in black. 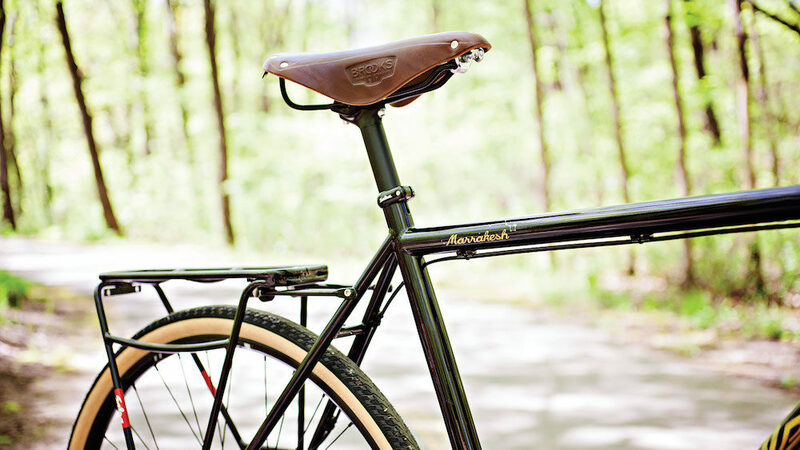 All Marrakesh models come standard with the Brooks B17 saddle. This has got to be the most popular touring saddle of all time, so it’s great to see it available on a stock touring bike. 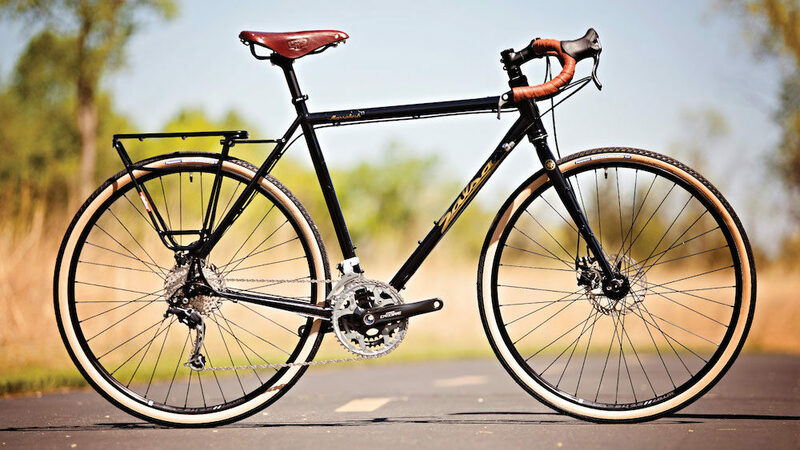 A Brooks B17 saddle on the Salsa Marrakesh saves your upgrade $$$. The flatbar version of the Salsa Marrakesh is longer in the top tube to offset the shorter handlebar reach. When sized correctly, this results in a similar angle at your back, neck and shoulders between the different Marrakesh handlebar models. The 2017 Salsa Marrakesh Flatbar in blue. The cockpit of the flatbar Salsa Marrakesh is pretty sparse and ready for accessories. Thumb shifters are a great option for an off-road touring bike, as they are so incredibly simple, and short of a nuclear blast – completely fail-proof. Other than the cockpit setup and longer frame geometry, the Marrakesh flatbar shares all the same parts as the dropbar model. The handlebar setup for the flatbar version of the Salsa Marrakesh. My only critisism of the 2017 Salsa Marrakesh is the proprietary rear rack. 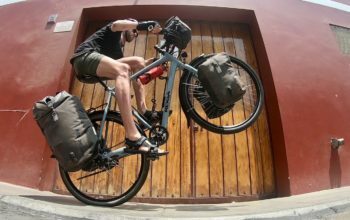 Salsa had to do it in order to use the Alternator sliding dropouts, but the aluminium rack available has a capacity of 27kg (59lbs) compared to a steel Tubus rack at 40kg (88lbs). I’m sure this is a conservative estimate, but it’d be great if Salsa could make a Tubus-comparable model in steel. The 2017 Salsa Marrakesh Flatbar is available in the aqua blue above, or a rather retro minty green. 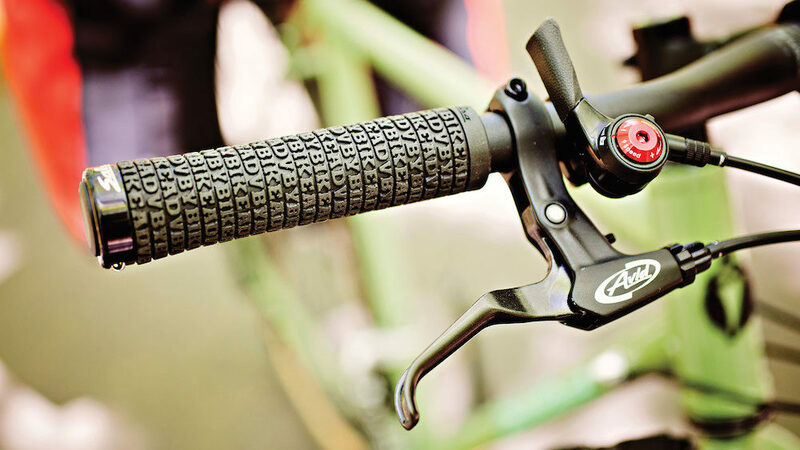 The stock grips on the flatbar are Salsa’s own ‘Adventure By Bike’ lock-on model. I’d highly recommend trying out ESI Silicone grips if you can! Silicone grips dampen vibrations like nothing else. They also don’t get sticky or hard over time. Thumb shifters for all of the Salsa Marrakesh bikes.